Just in time for an on-the-go summer are a few healthy treats to keep your kids satisfied without hefty amounts of sugar or preservatives. 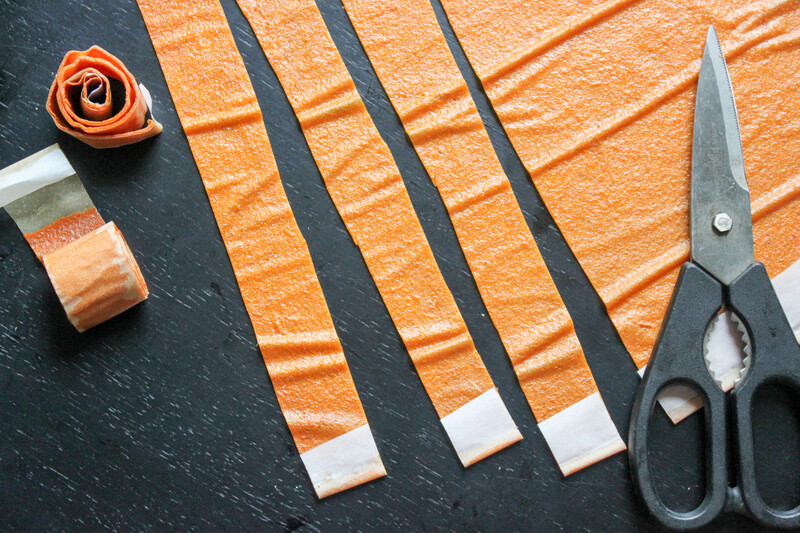 First is a homemade fruit leather—no dehydrator required. Just bake in the oven for a few hours and let sit overnight to be rewarded with their sweet, chewy goodness. Then, roasted chickpeas provide a nutritious, fiber-filled crunch factor and a homemade ranch dressing will have kids happily dipping veggies to coat. The amount of honey may change—less will be needed if the apricots are juicy, more if the apricots are not. The same amount of your favorite fruit can be substituted for the apricots. There may be some trial and error in the beginning, depending on how hot your oven runs and how thick the mixture is spread out (aim for it to be as thin as possible). Preheat oven to 200°F. Line a small 16-inch by 12-inch baking sheet with parchment paper and coat with cooking spray. Add apricots and honey into a food processor or blender; puree until smooth. Transfer puree onto the prepared baking sheet, making sure the puree is at a thin, even layer. (Coat a spatula with cooking spray, if necessary, to help spread it without the mixture sticking to the spatula.) Place baking sheet in the middle of the oven. Bake until leather feels dry yet still tacky—about 2 ½ hours. Start checking every 30 minutes after the 2 hours mark. Cover and let sit overnight. 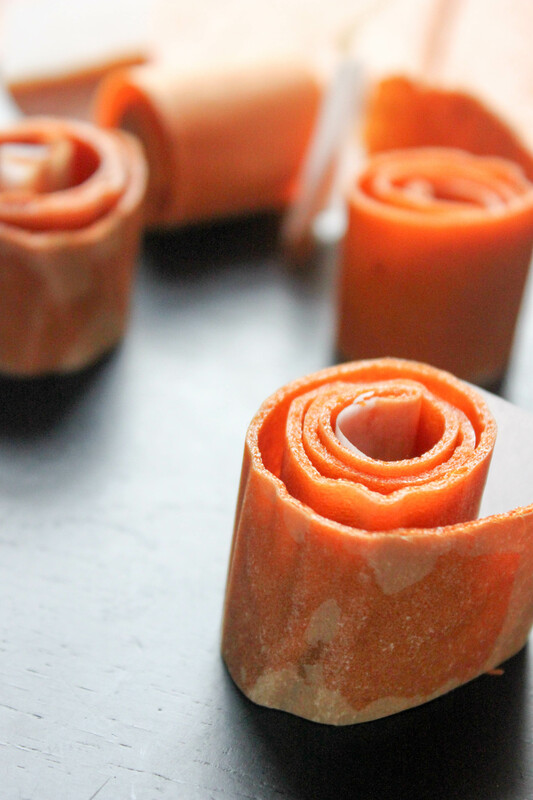 The next day, cut fruit leather into strips and roll up. Keep in an airtight container for up to 1 month. Let kids get in on the action of making these—even picking out the spice they like and using clean hands to rub the spices onto the chickpeas. Preheat oven to 400°F. Line a baking sheet with foil. Add chickpeas, oil, and spices. Using a spatula or hands, combine it together so chickpeas are coated with spices. Make sure chickpeas are in an even layer on the baking sheet. Roast in oven until crispy, about 40 to 45 minutes. Remove from oven and let cool. 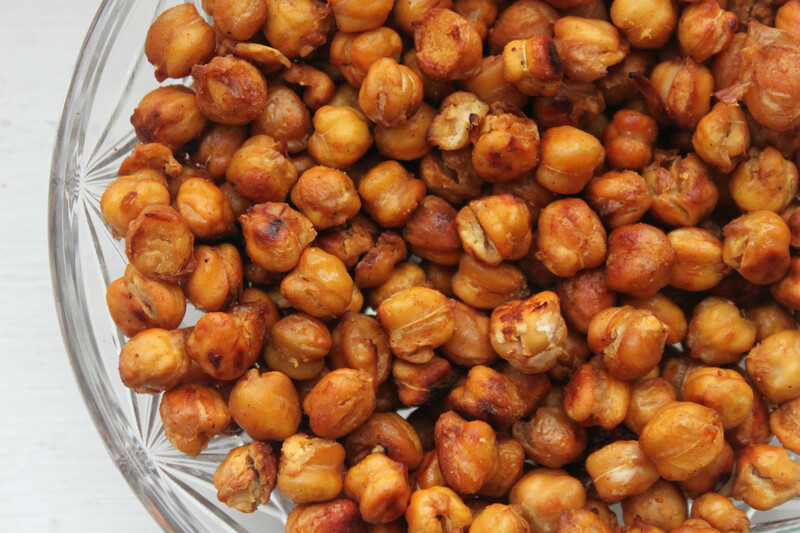 Place in an airtight container; chickpeas should remain crispy for a few days. Cutting and prepping vegetables—not to mention the homemade salad dressing to dip in—to hang out in the fridge for a snack increases the likelihood that they’ll be gobbled up. In a small bowl, add all the ingredients (except vegetables). Use a fork to whisk until combined. 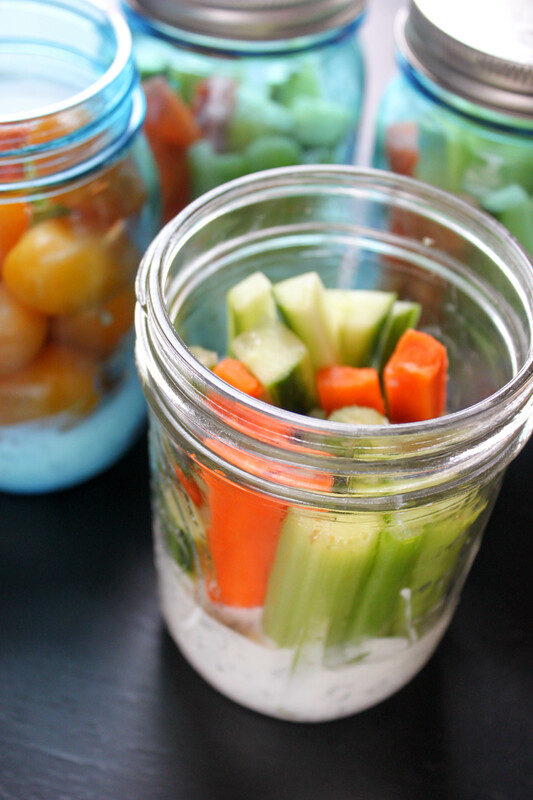 If desired, evenly distribute dressing into 4 mason jars or plastic containers. Add the vegetables. Refrigerate until needed.